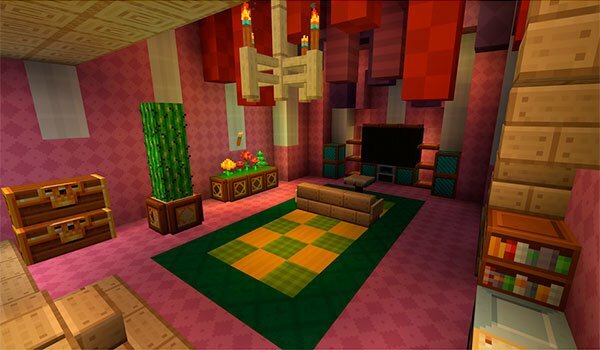 Alive your wonderful Minecraft Worlds with a happy and colorful look. Frenden’s Meringued Cartoon 1.8 is a package of colorful textures, strong enough with saturated hues that will make your Minecraft worlds a place like a cartoon world, where color and simplicity are the protagonists. Its resolution is 16x, ideal for those who may not have very powerful computers, but want to change the appearance and design of the content of Minecraft. You don’t need to use MC Patcher or Optifine to play with this texture pack, although in the case Optifine will always improve game performance. How to install Frenden’s Meringued Cartoon Texture Pack for Minecraft 1.8? 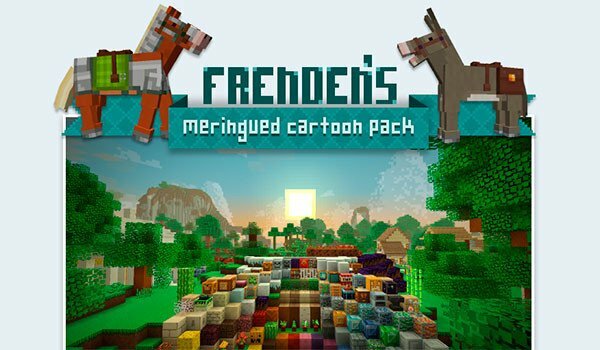 Download Frenden’s Meringued Cartoon Texture Pack 1.8. Convert your Minecraft into a cartoon world!